I recently had another little bash at Internet Genealogy, principally using the NORS online database at the Norfolk FHS website, and FamilySearch.org. I think that the ancestors will soon dry up from these resources, but I clutched several new families, and a few new ancestral locations. All of this new batch are on my mother's side of my Norfolk ancestry. I'm pleased that some of my recent additions have centred on Moulton St Mary's. It's my favourite church in that area. I took the above photo of it years ago. I discovered that one of my ancestors, Thomas Barker, was born there around 1801. I've seen Moulton a few times recently. During the same research, I discovered that two other ancestors - Robert Waters, and Elizabeth Ransby were also married at that church, in 1795. Otherwise, the Waters appear to have been a Freethorpe family. Both were born at Freethorpe around 1771. Their children were all to be baptised at Freethorpe. I think that a nice idea for a series of future posts, would to be to focus on one ancestral parish or location at a time. Associate it with my ancestors that lived there or passed through, see what Internet local history and any photographs that I can dig up. Blofield has cropped up a few times as well. My ancestors Thomas Dingle and Mary Ginby for example, were married there in 1782. Thomas Dingle was from "Bradiston", which I eventually ascertained was Brayderston, a hamlet on the Blofield side of Strumpshaw. Mary Ginby on the other hand, came from a family of Gynby, in a new village for the tree. Several miles to the north, from the village of Woodbastwick, close to Salhouse. Most of my mother's paper ancestors lived on the loam soils north of the River Yare in East Norfolk. However, sometimes I find lineages that have crossed the river from the south. I found that this was the case with my ancestor Mary Gorll. It turns out that she was born during 1741 in the small town of Loddon. Spellings of her family surname in Loddon, varied from Gorll to Gall, Gaull, and Gaul. She went on to marry my ancestor Henry Rose, at Loddon in 1768, and later they crossed the river to settle in Strumpshaw. Finally, I also got a bit lucky with my Merrison / Morrison ancestors. Benjamin Merrison married my ancestor Lydia Norton at Lingwood in 1796. They raised their children at Lingwood, including my ancestor Hopeful Barker (nee Morrison). However, I didn't know where Benjamin Merrison originated from. Without transcripts and online indexing, I'd have been very lucky to find stray ancestors like Benjamin - people that move from more than one or two parishes away. It turns out that he was baptised as Benjamin Marison in 1759 at the hamlet of Repps-with-Bastwick, between Thurne and Bastwick, near to the River Thurne. There you are. New families on my mother's side - Gaul, Ransby, Morrison, Gynby. 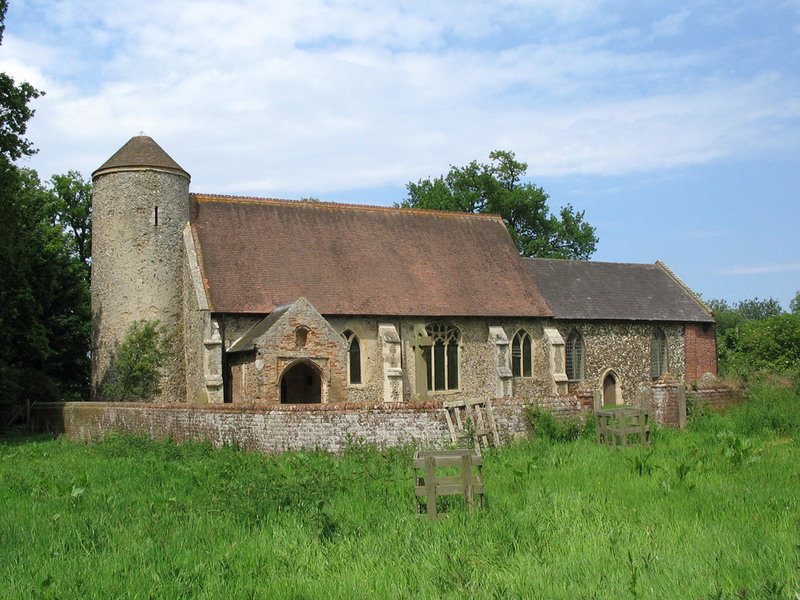 New ancestral parishes in Norfolk - Loddon, Braydeston, Woodbastwick, and Repps-with-Bastwick.